Trauma-informed schools provide early intervention for traumatized children of all ages. 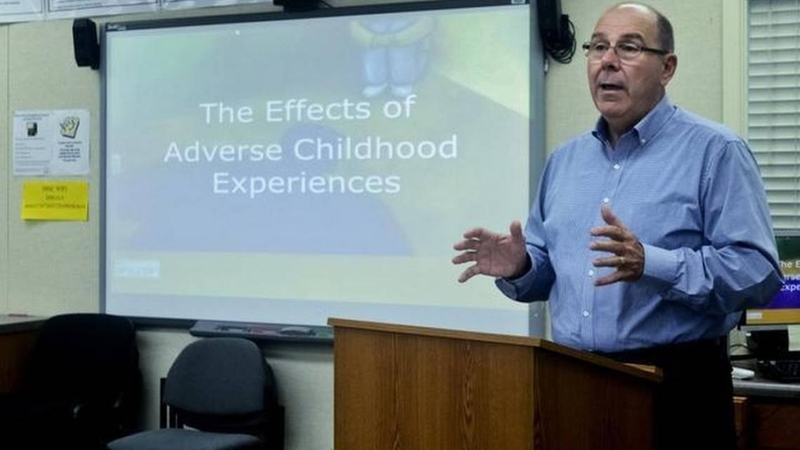 ACE Overcomers teaches the science of adverse childhood experiences (ACEs), and how to connect with “problem” students. Discover how family dysfunction affects the classroom, and learn how The Seven Essential Questions of every Relationship can improve your communications and connections with students and co-workers. This teaching has been experienced by hundreds of educators, university students, law enforcement officers, social, behavioral, and mental health care workers, and is essential to understanding a “trauma-informed” approach to students and families. We go beyond the science to practically apply essential communication skills that improve the classroom experience and reduce teacher burnout. ACE Overcomers has been in the trauma-informed movement for over 12 years and speak across the nation to professionals and universities. We co-taught with Dr. Rob Anda of the CDC (and co-principal investigator of the ACE Study) at the Prevent Child Abuse Texas convention. We teach in Congo, Uganda, Rwanda, where over one thousand educators have committed to stop caning their students. Additionally, we have taught in alternative high schools. We have written a evidence-based curriculum used in jails, schools, and recovery centers. We have a weekly radio program in central California. Students and teachers are taught to understand the physical, emotional, and cognitive effects of adverse childhood experiences. The results demonstrate increased empathy for traumatized students, resulting in decreased classroom conflict, and increased student cooperation. ACE Overcomers combines science with practical applications equipping the educational system to understand how trauma affects students and the classroom. Pastor, author, educator, radio show host, Dave Lockridge weaves stories, science, and practical wisdom to give insight into why people behave as they do.